When you finally realize that the only name you need to know for Spout Springs landscaper services is Ground Pounders Landscaping, the task becomes that much easier. Since 2007, we have become the local leading service provider for this type of work. Our Spout Springs Landscaping Company promise results and deliver on that promise, which is what helped us build up the established name that we have for ourselves. Don’t settle for less than the best when it comes to the work that goes into your home or business; we can provide you with the best in workmanship as well as customer service. This is not the type of decision that should be made haphazardly or without careful research and consideration, yet too many home or business owners simply go with whatever the first name is that they come across. Let us show you in person how we have earned the flawless reputation that we have and how this can benefit you. We take this line of work seriously and that is evident from the work that we do, so give us a call today to begin working on your project. If you have never worked with a professional landscaper you may not even know what qualities to look for, such as established business with a focus on just these services, not as a sideline to roofing. Or, maybe you have worked with a so-called pro in the past but didn’t like the results you got. We can assure you that we listen to your wants and needs and provide results based on this. Give us a call today in order to get superior quality service that will leave you with the results that you want. In order to keep the exterior of your home or business looking its best, you need quality landscape design as well as maintenance. 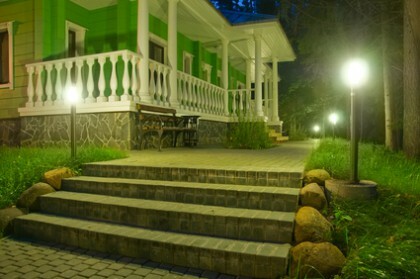 This is about high quality design and installation as well as the essential upkeep that follows. We don’t want to just set you up for success, we cant to be part of delivering the results that you want for years to come. Give us a call today and let us demonstrate to you how we got to be number one. Part of being the best in this field is also offering other essential services, such as gutter and drainage systems. This intricate system is important for keeping your home protected from the damage that can come from having water overflow off the roof or from clogged gutters. 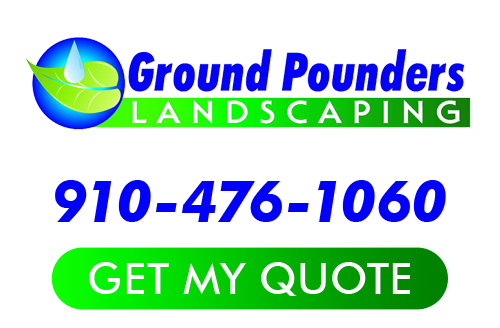 For all of the work you need done for Spout Springs landscaper services, let Ground Pounders Landscaping be there for you. If you are looking for a Spout Springs Landscaping Company then please call 910-476-1060 or complete our online request form.